What will reinvent the energy industry? Uber is a taxi company with no vehicles. Airbnb is a hotel company with no properties. Amazon is a retailer with no stores. So who is the Uber of energy? Well, have you heard of Drift? An energy service company made up of former Google, Amazon and Microsoft engineers looking to reimagine the way we get our electricity. 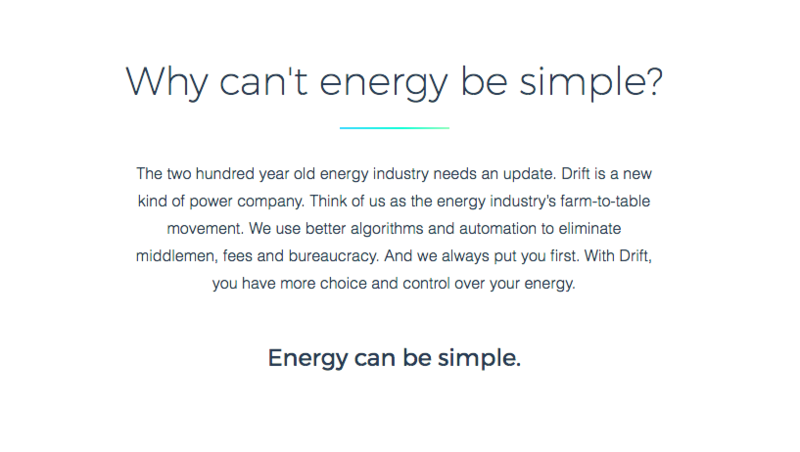 Their pitch to consumers: choose whether you want zero-carbon energy or lowest cost energy, manage your account with an online dashboard, pay weekly (to eliminate interest and bank fees that get passed on to customers by utilities), and cancel any time you want (no contract). Greg Robinson, the co-founder and CEO, said the platform was designed to “ruthlessly lower costs in the supply chain" and provide a more customized experience for people looking for energy choice. Hmmm. Ruthlessly lower costs in the supply chain. Some of this is sounding familiar. Like the very problems utilities are currently trying to solve for. With valiant efforts (and little progress). 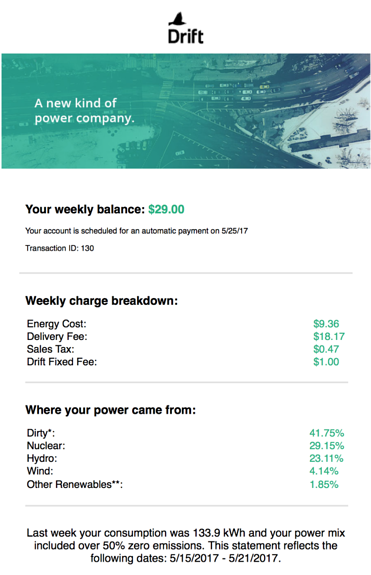 If every single utility isn't paying attention, they should be. But what is the lesson here? Innovation isn't waiting for your organization to catch up, to restructure, to finalize that working team with the PEX process and the project plan mapped out in visio. It wants your customers. It's creative. And ruthless. It's trying to put you out of business. This week we want to know: What’s your Uber? It might be Drift. Or maybe not. It might be something you didn’t even see coming.